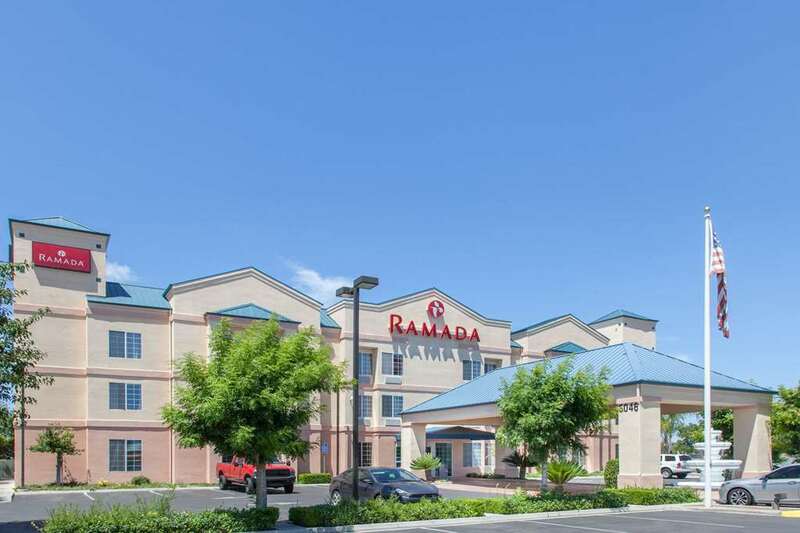 Conveniently located off Highway 99 in the heart of California Central Valley Wine Country, this Ramada Fresno Northwest hotel is near the unparalleled underground house and garden the Forestiere Underground Gardens, concerts and rodeos at Save Mart Center, and California State University Fresno. Take a short drive to dining and entertainment at Tower District Fresno. Refresh at this hotel with complimentary wireless Internet access, complimentary continental breakfast, Ramada Mart convenience store, complimentary parking, fitness room, covered outdoor pool, meeting and conference rooms, and 24-hour business center. Guest room amenities include refrigerator, microwave, desk and TV. Suites and handicapped-accessible rooms are also available. Pets are welcome at this smoke-free lodging. There is no charge for children 17 and under with an adult.